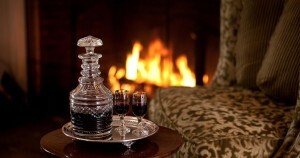 We offer award winning Monterey lodging. 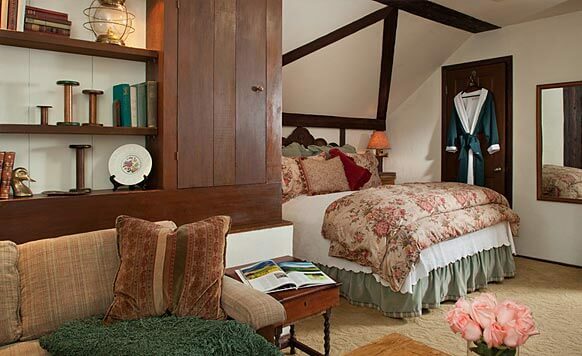 Every room and suite at our Monterey bed and breakfast was designed as a romantic retreat that embraces charm, sophistication, and architectural significance of our beautiful, historic English Tudor mansion. Intricately carved woodwork, copper detailing, and gorgeous stained glass details complement the elegant decor throughout our Monterey inn. Experience ultimate romantic getaways in Monterey. Planning to stay 2 nights? Check out our $50-off (each night!) Winter Special. Rates include a full gourmet breakfast each morning at our Monterey California inn, afternoon refreshments and evening hors d’oeuvres with complimentary wine and beverages. Check-in is between 3:00 p.m. and 7:00 p.m.
We accept Visa, MasterCard or a personal check to confirm a reservation. A payment of the first night’s lodging is due at the time of booking. There is a 10% processing fee for all cancellations. Cancellations must be made fourteen (14) days in advance or room rate will be charged for each night reserved. Should any room subsequently be resold, a refund of those monies will be made. Two-night minimum stay is required on most weekends, three-night minimum stays required for holiday and special event periods. Exception may be made for last minute reservation. 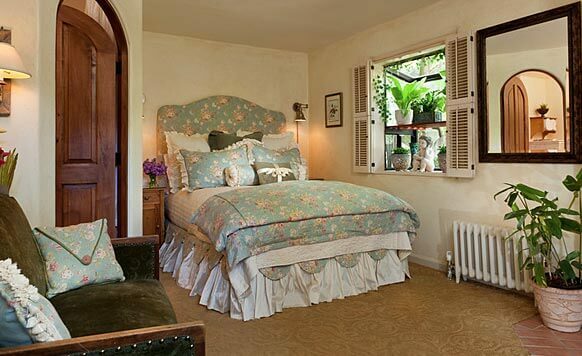 Our elegant Monterey inn is best suited for couples or single travelers. Unfortunately, there is no ability to accommodate families with children in a family-friendly manner, and each guest room accommodates a maximum of only two people. Rates based on double occupancy. There is $50 charge per additional guest per night. Unfortunately, we cannot accommodate pets at our property. 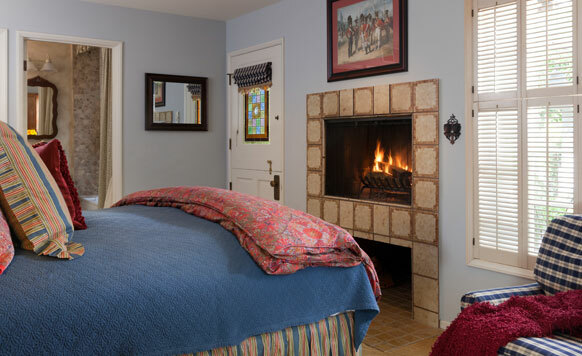 Our lodging in Monterey, CA is a Smoke Free Property. 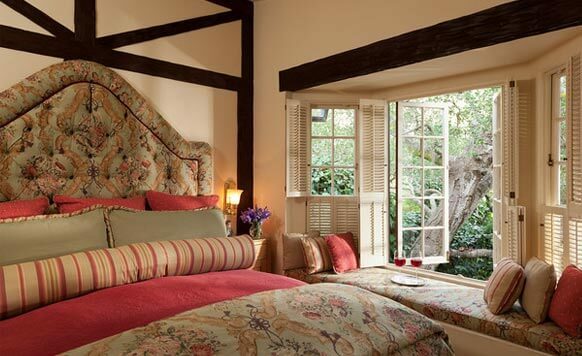 We look forward to having you stay at our beautiful inn! Click here to see spa treatments and special indulgences! 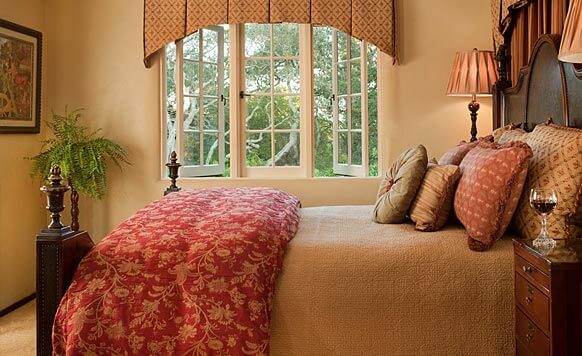 All accommodations offer the ultimate romantic getaway in Monterey. The rooms all offer a private bath with the highest quality amenities including specialty lavender soaps and Aveda® products. In addition, each room and suite provides a cozy sitting area next to a private fireplace, complete with candles to create your own romantic oasis. 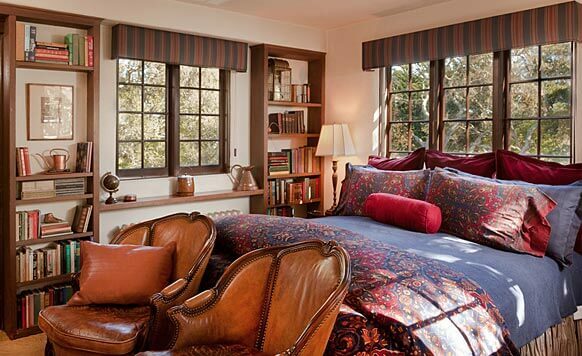 Thoughtful details abound: plush feather beds and down duvets with superb quality linens, soft terry lined robes and slippers, perfumed bath salts, thick towels and current magazines. Truly a luxury experience!